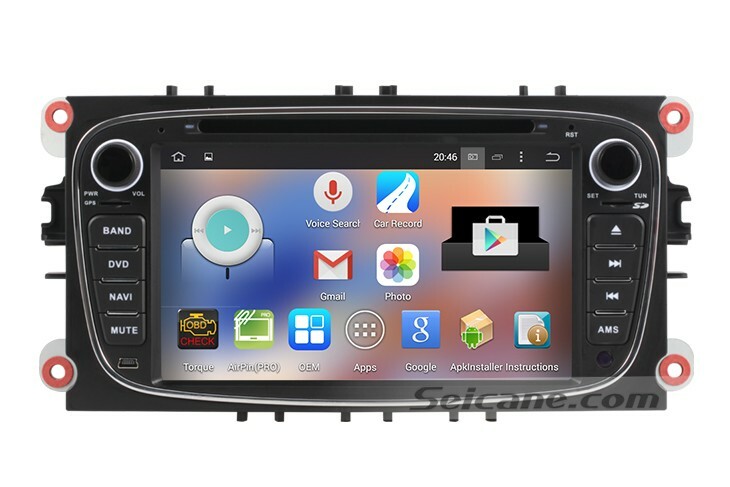 Upgraded to the latest Android 4.4.4 operating system and a remarkable RK3188 1.6 GHz Cortex A9 Quad-core CPU to enhance the performance, the multifunctional 2008-2011 Ford Focus head unit from Seicane shown in the picture below is the best replacement for you to upgrade your factory radio. This modern Ford Focus head unit can bring the greatest convenience for you while you are driving to a lot of desired destination with its wonderful features including GPS navigation system, DVD player, Bluetooth hands-free calls, Bluetooth music, iPod, TV, USB, SD, etc. If it’s the first time for you to use such a multifunctional unit, you may feel confused at how to operate it. Here I’d like to share some instructions on how to use GPS function in this Ford Focus head unit. First of all, turn on the unit and enter the main menu interface. You may find “SAT”, “NAV” or “GPS” on the interface, it’s the logo for GPS function. Then click it. You may see the prompt like “GPS path is missing”, which refers to that you don’t set the GPS path in the setting. To do that, you need to insert an SD card which has maps into this unit at the first. Then go to the setting interface, and find the GPS logo. Click it, and you’ll see path setting. Then choose the package from the SD card and set the path. Next, you need to open the GPS logo in the main menu to install the map. It’s easy to install. In the process of installation, accept all the agreements you want, then you can successfully install the map in your unit. Because it’s the first time for you to use the GPS function, there’s no route in the maps. You can set the starts and destinations according to your different needs. The GPS navigation system of this Ford Focus head unit will guide you to a lot of locations with the best way in the least time. It can also provide lane assist, landmark display, route planning, 3D street view, millions of points of interests, turn-by-turn direction and voice prompts for you. Wish you have a wonderful time with this amazing Ford Focus head unit on all trips! Good luck to you!